A PREVIEWS Exclusive! Fans around the world thrilled to the appearance of Baby Groot at the end of Marvel's Guardians of the Galaxy. 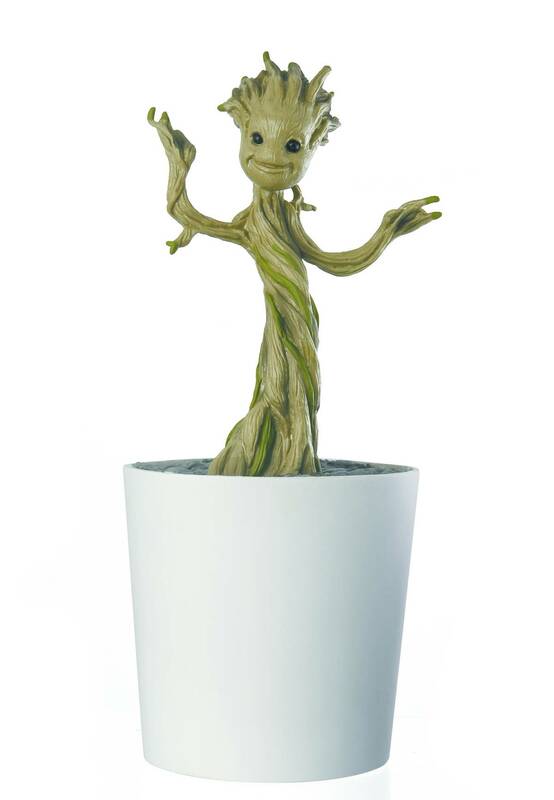 Now you can have a Baby Groot of your own with this sculpted figural bank inspired by his appearance at the end of the film! Let Groot store your loose change!.